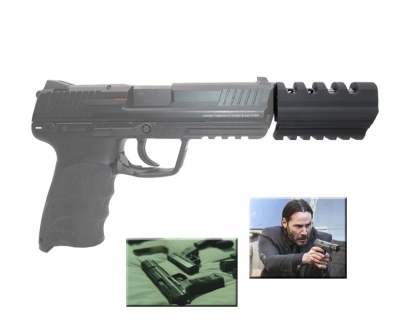 WIITECH HK45 Umarex (KWA version ONLY, will not fit VFC HK45) CNC John Wick Comp Set. 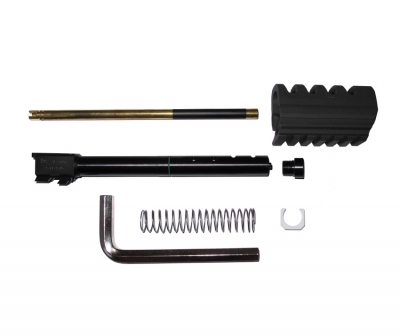 The smooth surface of outer barrel and barrel spring ensure reliable and smoothness of recoil action. 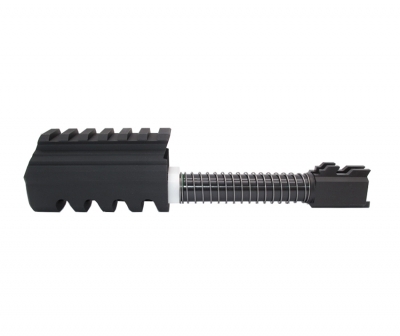 The long 6.03mm inner barrel provides higher precision and longer shooting range. However, the original HK45 short inner barrel cannot be used in this compensator set. All products are made for airsoft only. They are not made for real steel firearms.